We stock top quality seed varieties and fertilizer formulations in 50 lb. bags. 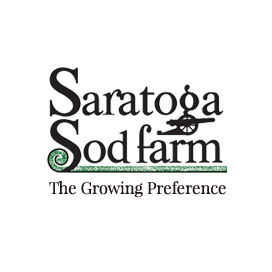 To order, call us at 518-664-5038 and pick up at the Farm. High quality mix for new lawns: good for pre- or post-season overseeding. A quality fast & versatile mixture. Good for lawns and general use areas. A great choice for home lawns or sport field overseeding. Excellent for both sun and shade. Yields a lower maintenance turf. First choice for rapid germination & fast growth. Excellent choice for in-season overseeding on athletic fields. Will yield a premium sod quality lawn or athletic field. An excellent deep rooted, drought tolerant turfgrass, also good in shady areas. Starter fertilizer to promote root development: apply to soils prior to sodding or seeding new lawns. Good late summer/early fall and all-purpose fertilizer. Good spring feed and green up. Can also be applied as a late fall feeding. Successful seedling development depends on: timing of planting, soil type, pH, moisture, fertility, seed quality, seed variety, planting method, weed competition and control. WEED CONTROL: Annual weeds are controlled when the soil is tilled. Perennial weeds can be controlled with a post-emergence herbicide. Be sure to read the label on any pre-emergent weed control product, as many cannot be used with new seedings. REMOVE ROCKS & OTHER DEBRIS: Remove any material larger than 1/2 inch in size. Large concentrations of buried organic material can support fungal growth such as “fairy ring”. APPLY FERTILIZER: Apply starter fertilizer as recommended from the soil test, as well as materials for pH adjustment if needed. TILL: Tilling works the fertilizer and pH control materials into the soil, helps new roots to grow, and makes it easier to smooth and level the planting area. APPLY SEED: The best time to seed cool season turfgrass is during August & September. RAKE & ROLL: Use a seeder to plant, or broadcast the seed on the tilled soil and lightly rake in to incorporate the seed into the soil. Use a light roller to help ensure good seed to soil contact. WATERING: Seed must be kept moist by frequent, light watering until the new root system has developed. MOWING: Mow as soon as the grass is high enough to cut; keep mower at its highest height and keep blades sharp. N is for nitrogen for the top growth of the turfgrass. Nitrogen aids photosynthesis—the process of converting carbohydrates into energy in the presence of sunlight. Carbohydrates can be used right away, or stored in reserve to help the plant through stress periods or winter dormancy. The end result also contributes to the color of the turfgrass. P is for phosphorus for the root system of the plant, which helps transport water and nutrients from the soil. K is for potassium to maintain a healthy cell structure in the plant. Potassium keeps the blades rigid, providing endurance to withstand stresses such as heavy traffic on the grass. For a healthy lawn, feed every 4 – 6 weeks. A slow release or controlled release form of Nitrogen should be used whenever possible, especially on spring and fall applications. Always “water-in” fertilizer after applying.